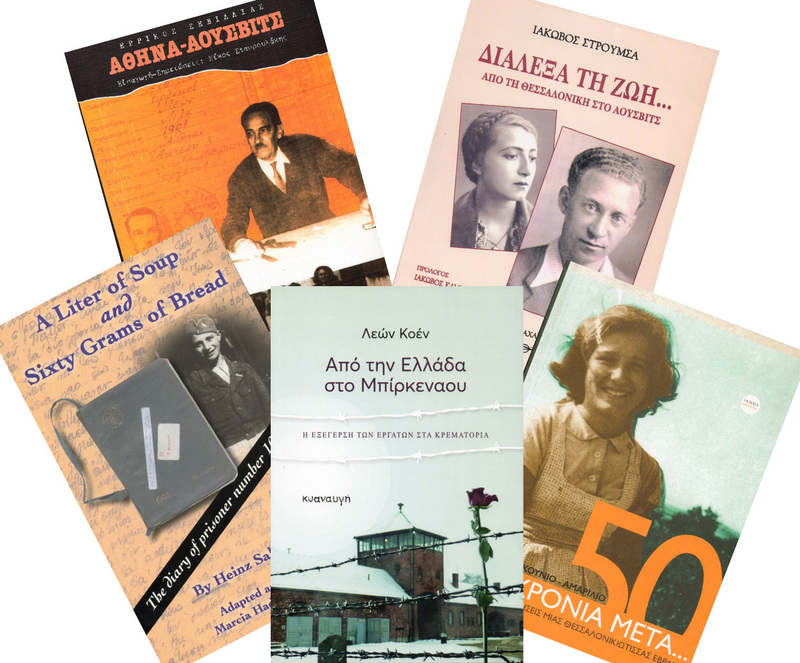 Greek scholar Panagiotis Heliotis reviews a series of books written by Greek Jews who were deported to Auschwitz during the Second World War. When someone was out to beat Bobby Fischer, he could tell. And he could beat their game. Every time. Even when it wasn't a game. Forensics are indispensable to the solution of crimes. All crimes, except the "greatest crime in human history." Monuments come, and monuments go. And each generation is to blame for both. Germany experienced a malicious pile-on of the victorious Allies after World War II. Just such a pile-on enveloped historian David Irving after his testimony in the 1988 false-news trial of Ernst Zündel in Canada. Danuta Czech’s Auschwitz Chronicle are one of the most important secondary sources on the history of the Auschwitz Camp. The information found in it is a major basis for a large body of literature dealing with the Auschwitz Camp. All the more important it is, then, to verify whether the data contained in it is accurate. The following paper looks into the reliability of data contained in the Chronicle dealing with mass deportations mainly of Jews from all over Europe to Auschwitz in 1942. It compares the data contained in the primary sources quoted by Czech with what Czech herself claims about them. The presidential candidate who promised to keep the US out of war was elected ... and didn't. Just like 24 years earlier. More Germans died after World War II than died during it. Since they didn't (and couldn't) fight back, it was cold-blooded murder - by the victorious Allies. The "good guys" who fought and won the "good war." Establishment historians characterize Germany’s invasion of Poland as an unprovoked act of aggression designed to fulfill Adolf Hitler’s desire for Lebensraum. This article will show, however, that Poland’s atrocities against its German minority forced Germany’s invasion of Poland. War produces grotesque and horrifying abuses of man by man. Everywhere and always. They can be proven by judicial proceedings, but never as to all who are guilty of them. Some "false-flag" attacks are so false, they never even actually happened. The infamous "lie that started World War II" at a transmitting station at Gleiwitz, Germany might be such a case. If so, the elusive "attack" of the night of August 31, 1939 would hardly be the greatest mythical crime pinned on prostrate Germany at Nuremberg after the war. Does the military detect and evaluate threats to national security better than other agencies with such responsibilities? Are its (senior) ranks better proof against infiltration by agents of foreign, even hostile powers? Such questions come to the fore in evaluating the disclosures in this book and this assuredly heterodox review of its content. Victory in war is as blunt as it is bloody. The treatment of demonstrably friendly German scientists by the Allies after the Allies' bloody victory echoes the barbarity of the war itself - perhaps unavoidably. Choreographing Israel's best Nazi friend - before hanging him. Bad Nenndorf is a bathing resort in the fringe of the uplands of the River Weser’s watershed where people with joint ailments are treated with mud baths and soaks in sulfurous waters. On the grounds of the spa suffused with sulfur fumes stands a stately mud-bath house from the 19th Century. At the entrance, cure-seekers are greeted by the goddess Hygeia. Late in the 1920s, the bathhouse was extended into a massive complex with innumerable bathing huts. The Einsatzgruppen trial was the ninth of 12 American-run trials held after the International Military Tribunal (IMT) at the Palace of Justice in Nuremberg, Germany. The Einsatzgruppen reports that have been produced are copies which show clear signs of postwar additions, inaccurate and inflated figures, and obscure signatures appearing on non-incriminating pages. Such reports would not constitute valid proof for legitimate historiography or a legitimate court of law. When it comes to Holocaust survivors we almost always tend to think about Jews. It can’t be helped actually as it is only Jews who appear on the media. But Jews were not the only ones sent to concentration camps. There were others as well. Today we will have a look at the testimony of one of them: Russian POW Andrei Pogozhev and his book Escape from Auschwitz (Pen & Sword, 2007). In addition to numerous Jewish survivors of Auschwitz-Birkenau I have met, it is amazing how many survivors of these camps are mentioned in pro-Holocaust books and other mainstream sources. This article will discuss some of these Jewish survivors and other eyewitnesses who prove that genocide did not take place at Auschwitz-Birkenau. Sonderkommando Marcel Nadjari, an almost unknown witness, comes to the scene to reveal the horrors of Auschwitz thanks to a buried letter found in 1980 and restored in 2017. But how reliable is he? Within the Anglosphere at least, Arthur Butz's 1976 The Hoax of the Twentieth Century was truly trailblazing, almost proto-revisionist insofar as comprehensive reviews of the subject in a single volume are concerned. While the book's performance in the (book) marketplace has waxed and waned, its recent removal, after at least two decades, from the vaunted offerings of Amazon.com finally subjects this classic work to true censorship. On the occasion of its entry into the Twenty-First Century's Index Librorum Prohibitorum, this article compares its fate with that of the work of a similarly precocious myth-buster of the Fifteenth Century that Butz himself adduced while placing his own work in historical perspective. Censorship can take many forms. This article reviews a few of them occurring in the land of the free. Orthodox historians avoid discussing Holocaust revisionism, but there are exceptions. This paper reviews such an exception: the 2017 book Holocaust and Genocide Denial by Paul Behrens, Nicholas Terry and Olaf Jensen. German historian Prof. Dr. Christian Gerlach has written a major book on the Holocaust. The title suggests that it is about The Extermination of the European Jews, but as this review shows, the author has shirked the topic almost entirely, and he even found an excuse for doing so. Remembering: Voices of the Holocaust is a collection of a great number of snippets taken from testimonies of various Holocaust survivors. This brief paper reviews some of them that contain statements about the Auschwitz Camp. The Greek Jew Leon Cohen claims to have been a member of the infamous Auschwitz Sonderkommando in 1944 tasked with cremating the victims of mass murder. After the war, he wrote a book about his experiences, which this brief paper analyzses. Errikos Sevillias was deported from Athens to Auschwitz in 1944. His memoir, which this brief artcile reviews, was first published in 1983. The Greek Jew Heinz Kounio was deported to Auschwitz in March 1943 at the age of 15. He and his father were put to work there. This brief article reviews Kouino’s memoirs, which were first published in 1981. The Greek Jew Erika Kounio was deported along with her family to Birkenau in March 1943 at age 15. Due to her knowledge of German, she ended up as a secretary in the camp’s Gestapo headquarters. Her tale, first published in 1996, is the object of this analysis. Jacob (Jacques) Stroumsa, a Jew who was deported from Greece to Auschwitz, ended up playing the violin in the camp orchestra. This brief contribution reviews some of his more interesting experiences and claims about his time in Auschwitz. This year, 2018, marks the 30th anniversary of the Leuchter Report, the expert report compiled by Fred A. Leuchter on the rooms at the Auschwitz, Birkenau and Majdanek Camps commonly referred to as “gas chambers.” In this contribution, I will not deal with the merits of Leuchter’s Report, on which rivers of ink have been poured out. In this regard, I limit myself to pointing all interested parties to the critical edition of Leuchter’s reports edited by Germar Rudolf. What I propose, instead, is to examine Leuchter’s professional qualifications, about which many falsehoods have been promoted in an attempt to denigrate and discredit the aforementioned Report. Hellishly flaming crematoria; lines of doomed Jews trudging through the snow from cattle cars; heartless selections; gas chambers! The story, loosely put together during the war, really took off when Auschwitz Commandant Rudolf Höss "confessed." A new book on his post-war fate sheds light on what the tales from his mouth a worth. History contains many precedents for every element of Höss’s dolorous fate from the time of his capture. The oldest is hundredth of years old: A Thousand and One Arabian Nights. Here the link between the two stories is explained. Continuing from the previous article we will examine some more testimonies from the book The Holocaust in the Testimonies of the Greek Jews. This book contains excerpts from published testimonies as well as oral ones. We will examine the most important concerning the extermination claims. Did the US occupational forces conducting war-crimes trials in Germany after World War II employ second- and third-degree interrogation methods and other illegal measure to obtain the convictions they wanted? A new book by a mainstream historian disputes this, claiming instead that those trials were paragons of fairness and justice. This denial of the obvious could hardly be more brazen. A thirteen-page letter written by Marcel Nadjari and buried near Krema III at Birkenau, where he allegedly worked in a Sonderkommando, has now been rendered legible, and is being hailed as a central document of the Holocaust. The content of the letter, however, destroys its credibility. British historian Laurence Rees, the former Creative Director of History Programmes for the BBC, has written a new "magnum opus": The Holocaust: A New History. This review lays bare a few of the shortcomings of this old wine in new wineskins. Hate speech is usually defined as a verbal attack on someone or some group based on some feature. To qualify, it can suffice that anyone finds that speech offensive. The present article tries to define hate speech in a rational, objective way, thus removing it from arbitrariness and subjective feelings. Based on wartime documents and modern expert literature, this paper determines and analyzes the features of the ventilations systems of Crematoria II & III at Auschwitz. Why do revisionists think the German euthanasia program happened during World War II, but not the Holocaust? This article shows that the evidence for the German euthanasia program is overwhelming, while the evidence to support the Holocaust story is severely lacking. Establishment historians state that Adolf Hitler made a mistake when he declared war on the United States. This article will explain why Hitler was forced to declare war on the United States. Claiming that the mainstream Holocaust narrative is profoundly flawed raises two questions: Why would anyone make up a story like this, and maintain it to this day? Who benefits from this falsification of history? This article will answer these questions. Hitler’s Table Talk is a worthless primary source. There, I said it. And I’m not just saying this to evoke a reaction. I’m saying it because I really mean it. The renowned “Hitler expert” Lord Dacre, better known as Hugh Trevor-Roper, knowingly and willingly engaged in a massive cover-up regarding Hitler’s Table Talk (hereafter TT). Had it not been for the outstanding research at the low cost of just $50 taken up by historian Richard Carrier, we might still be in the dark about this, 64 years after TT’s first appear-ance in the English language. Sorry to bust this bubble, Hitler and Third Reich enthusiasts, but TT is worthless. In this article, I will establish three things: 1) that Hugh Trevor-Roper knowingly and willingly engaged in academic fraud for profit and prestige, 2) that TT is a worthless primary source, and 3) that renowned Hitler “experts”, both revisionist and mainstream, have failed the public regarding reliable Hitler primary sources. Holocaust revisionism is increasingly dismissed as a “conspiracy theory.” Two authors have turned the tables on revisionism's accusers and have analyzed the orthodox narrative as to whether it qualifies as a "conspiracy theory – and yes, it does. How come almost everyone knows the name Josef Mengele, and that he was the "Angel of Death" at the Auschwitz Camp, the most infamous physician in the history of mankind? How did Mengele end up with this monstrous reputation? Was he really that monster? Two of the great myths of recent history are that: 1. Germany achieved economic recovery through rearmament; 2. Roosevelt overcame the Depression through his New Deal social reforms. These assumptions are in inverse proportion to actuality. Where did those evil Nazis get their idea to enact laws discriminating against people for their (alleged) race? Well, they were inspired by laws of the glorious United States of America. Read this book review to find out more. For more than thirty years, historians have been aware of once-secret memoranda by senior British intelligence official Victor Cavendish-Bentinck in which he casts doubt on the alleged use of homicidal gas chambers by National Socialist Germany. A broader range of British documents tells us more about the role of British propaganda regarding homicidal gassing claims: Britain’s Political Warfare Executive and its predecessor first deployed stories of homicidal gassing as part of propaganda efforts in two areas unconnected to treatment of Jews. Their objective was to spread dissension and demoralization among German soldiers and civilians, and among Germany’s allies. Partly because they knew of these earlier propagandist initiatives, some British intelligence officials disbelieved later stories about homicidal gas chambers. One Survivor, One Single Survivor! Leading Jewish Holocaustians recently attacked President Donald Trump for issuing a statement on International Holocaust Remembrance Day that did not specify that the victims were Jews. The result is that the public has been informed by Deborah Lipstadt that the Holocaust is by definition an exclusively Jewish matter, and by Yehuda Bauer that the old war propaganda alleging millions of non-Jewish victims was false—which certainly will be cited in the future as a justification for questioning the Jewish claim of 6 million. This was a self-destructive assault by members of the Holocaustian establishment against President Trump. Inconvenient History now carries material in a number of foreign languages, and accepts video and audio files to be submitted alongside a transcript of their verbal contents. We also ask our readers to help us get non-English contributions translated into English. Yad Vashem entered tens of thousands of Jewish deportees en masse and multiple times as "victims" into their database. The fate of some of them proves that Jews were transited by the thousands through Treblinka to places further east. Can one submit Adolf Hitler and Joseph Goebbels's wife as a victims of the Holocaust to the Yad Vashem database and have them listed (and counted) there? Sure! All are welcome!